Composition notebook, blue folder and check for handouts! Extra Help: Tuesdays after school! Just tell Mr. D. you're coming! Once we set up our tents, the troop decided to foray into the woods for an eight mile hike. The king of the Gods, Zeus, would never condescend himself by living among mere mortals. Bridge: Who is Shirley Anita St. Hill Chisholm? (November 30, 1924 – January 1, 2005) She was an American politician, educator, and author. She was a Congresswoman, representing New York's 12th Congressional District for seven terms from 1969 to 1983. In 1968, she became the first African-American woman elected to Congress. On January 25, 1972, she became the first major-party black candidate for President of the United States and the first woman to run for the Democratic presidential nomination (US Senator Margaret Chase Smith had previously run for the 1964 Republican presidential nomination). She received 152 first-ballot votes at the 1972 Democratic National Convention. Get out the the speech, Equal Rights for Women. 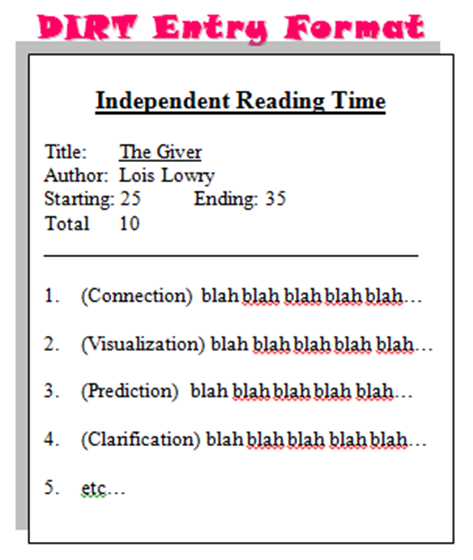 Check out the Reading Closely: Guiding Questions handout. Note: This speech is an example of someone taking a stand! We will be using this text over the course of the next few lessons. TURN and TALK: What might be some questions you think are important to ask? Why? You will be reading this text to understand the author's point of view and how the author structures the text to prove her claim! Mark your Text: Circle any unknown words as you listen! Turn and Talk: What do you think is the gist of the speech? Periods 1, 2, & 9: Compare what Shirley's Chisholm says about women's rights in 1969 with your view of women's rights in 2015. What are some reasons you feel women do or do not have equal rights today. Use TREES to structure your response. Periods 6 & 9: What might be the overall main idea (the gist) of this speech by Shirley Chisholm? Use TREES to structure your response! All handouts from yesterday, composition notebook, and blue folder! Did you hand in your Inside Out & Back Again Poem? If not, you need to meet with Mr. DeGrandis before it's too late! 9. erratic adj. (erratically) not even or regular in pattern or movement. When Marcy has an anxiety attack her breathing becomes irregular and erratic. 10. expound v. (expounds, expounding, expounded) to present and explain a theory or idea in great detail. His desire for spiritual growth led him to India where he could listen to philosophers expound upon the secrets of the universe. With a partner complete the text-dependent questions. When done, combine with another team and read each others responses. Edit your responses as necessary. Be prepared to be called on to share your response for a participation grade! Why might Shirley Chisholm be taking stand for women's rights rather than for African American rights? Use specific evidence from the text to write a TREES paragraph that answers this question. Bring in flashcards (this is a grade)! Entry Title: What Did You Ask? Answer the following questions using complete sentences and your vocabulary words. What might you do if you conceded to foray into the wild? List a few of the most menial jobs at a circus that are not demeaning. Ten Sentences using the vocabulary words from List V. You may not use the sentences from your composition books! Study vocabulary words for Wednesday's test using your flash cards.